According to some on the record comments published at Boston.com today, it may appear so. Just don't tell us you'll sign with the Yankees. There is nothing I can say that Bill Simmons hasn't said already. So a co-worker of mine pointed out what he calls the "height of laziness" and what I call "one button snacking". Yes, we are talking about the microwave button labeled "popcorn". One bag, one button, one perfect snack. This sparked a quick conversation about this button, and among other things, why it hasn't caught on for anything else. He mentioned that it existed briefly for the potato, and then pointed out that it likely did not last due to the varying possible sizes of potato and thus the inability to properly calculate the appropriate cooking time and cooking power to associate with such a button. Microwave popcorn is fairly uniform in package size, cooking needs, etc...more on this in a moment. Let me pause to say that right now I am truly embarrassed with myself for getting this wrapped up in such a discussion. But this must be brought out. So I continue. The craziness surrounding this 1 square inch of microwave real estate continues. We thought about the popcorn industry and what came first - the popcorn or the popcorn button. Presumably the popcorn did, but with the advent of the popcorn button, has the popcorn industry now become a slave to the microwave industry? 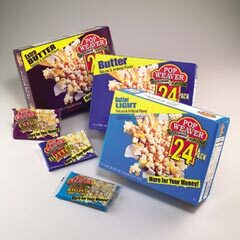 What if Orville Redenbacher sees a decline in the profit margin of microwave popcorn and decides that in order to save a million dollars next year, they need to cut package size by 5% and if they don't, they will go under. I'll tell you what happens, people using "the button" to cook Orville's popcorn are suddenly burning bag upon bag and pretty soon no one buys Orville Redenbacher anymore and the entire company goes under anyways. All of this because someone thought that making a single button to cook a single item easier would make sense. Next time you push that popcorn button on your microwave, remember...you aren't just cooking a snack, you are controlling an industry. There isn't much more room left. 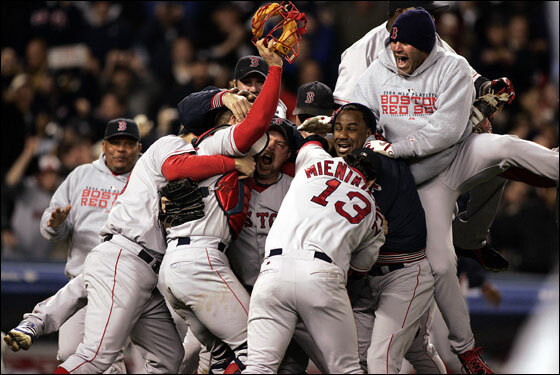 After the Red Sox crushing game seven loss to the Yanks last year (which by the way ranks as one of the top three worst moments of my life) it seems that loving the loser sox is the coolest thing you can do in the world of sports fandom, so get on now. 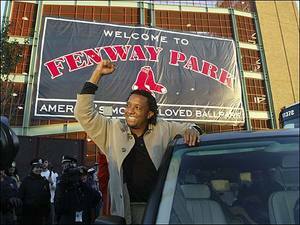 I, like many of my friends and all of my family, have been a sox fan from birth. 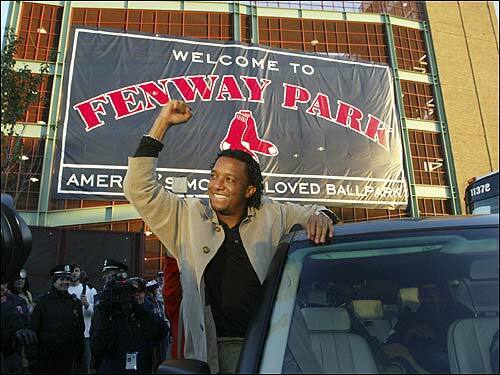 "Born into it" as some would say, the 86 sox make up some of my earliest childhood memories. 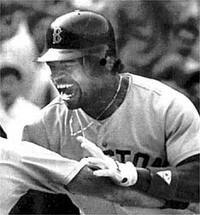 I can vividly remember the Dave Henderson homerun off of Donnie Moore in the ALCS back on that October Sunday. It happened right around the time when I started collecting baseball cards, which basically involved my picking out the Red Sox guys and throwing the rest into a shoe box. I went to game every year on my birthday and always brought my glove, once being so lucky as to have it autographed by Rick Honeycutt from the A's. I guess not much has changed. Now I go to tours of Fenway on off days, I have a beat up sox hat I always have with me, I sneak out of weddings I am at to the hotel bar to catch the game, and I will eat cereal for a week if it means I have an extra $50 to get some nosebleed seats to a Tuesday night game in July. 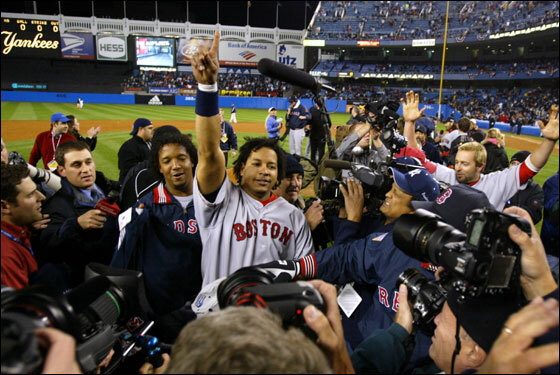 I wrote 4 more paragraphs on why I hate how Red Sox nation is becoming over-run with "Johnny Damon Come Latelys" and how I resent them as a self-described true fan, but I am going to cut it off here. Go Sox, and I guess it could be worse...we could live in Oakland. Oh...and enough with that awful Tessie song. It is horrible, and so are the god damned Dropkick Murphys. I know this flies in the face of my last post, and I don't care. This is my site and I will do what I want. When you come here, you play by my rules and you read what I write; contradiction or not. So don't waste my time pointing out that I spouted off about dieting last week and am now following it up with an endorsement for a pig out restaurant. Nobody cares. So I am an regular viewer of the Phantom Gourmet every Sunday morning on UPN, and they always seem to talk about FireFlys in Marlboro as being one of the best BBQ places in the state. Over the past several years I had driven by it a lot, but had never eaten there. This past Saturday night we went for it, and I don't think I have eaten this much since I needed to be wheeled out of Minado in Natick (Which is one of the few restaurants that has actually left me in pain due to the sheer volume of food). For the uninitiated, Firefly's is all meat. All barbeque. It is the kind of place where you need to hunt for the salad page, and macaroni and cheese qualifies as a vegetable. And if you order a salad, the entire wait staff comes out in a line and mocks you in song like some kind of retarded birthday ritual. I couldn't decide what I wanted, so I went for the Chicken and Ribs combo for the low low price of $17.99. Going as anti-Atkins as possible on the sides, I went with mac and cheese, cornbread, and cheese-potatoes....I was going for it and not looking back. Obese-American-poster-boy-land, here I come. It did take a while for the food to come out, which only made me hungrier which in turn only made me more satisfied with what I saw. The waitress came to the table with what looked like the results of a Texas barn fire. It was a heaping, grilled pile of meat sitting on top of the two starchiest sides I could find - the mac & cheese and the potatoes. The next 30 minutes was a flurry of sauce, bones, wet naps, and the occasional breath. My girlfriend and I sat across from one another, but e didn't speak to one another for the entire dinner. It was sensory overload, and it is hard to talk with a 1/4 rack of ribs in your mouth. It was beautiful....it was painful. If you haven't been, I recommend it. If you like BBQ and are looking for a pig out place for a decent price (a beer each and two huge entrees....$41) this is the place to go.